Updated Monday February 26, 2018 by Ryan Feeney. Mariner is pleased to start offering Spirit Wear. You can check out our two types of sweatshirts available for purchase. We are offering a Dry-Excel™ performance fleece. It is a smooth polyester that dries fast to provide superior comfort and warmth. We will also be offering a more cotton feel to the sweatshirt. 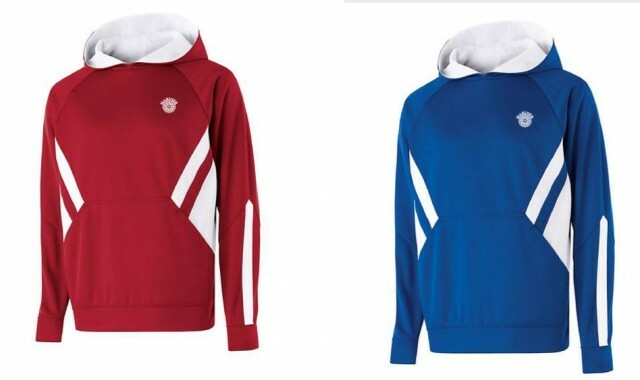 They both are available in red and royal blue. They will have the mariner logo on the front chest and the back of the sweatshirt. You can customize it with name and number on the sleeves. To purchase this style head on over to https://inisoccersupply.tuosystems.com/stores/mariner/ and scroll to the bottom of the page.